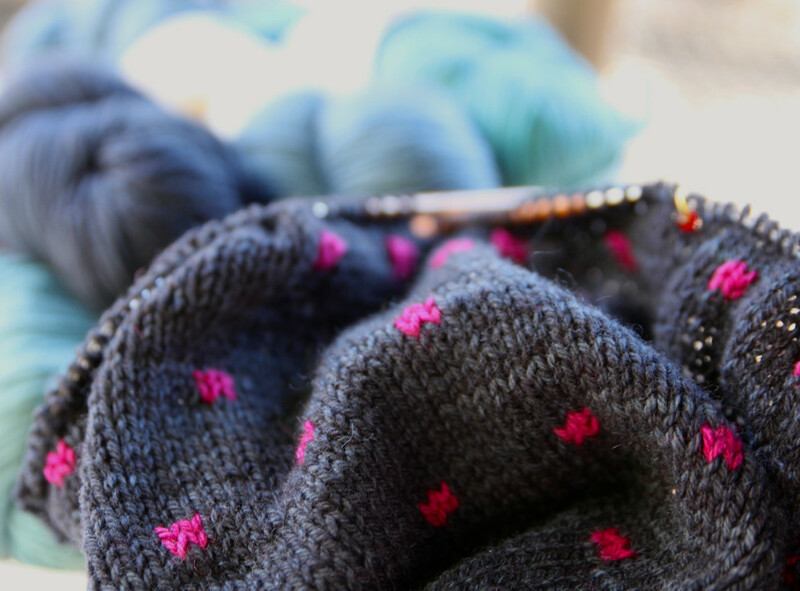 June 13th is World Wide Knitting in Public day, so it was the perfect excuse to organize an an outdoor knit a long. While I don’t knit exclusively with the Plucky Knitter yarns I am very active in the Plucky Knittier message boards on Ravelry so this was the perfect excuse to get some knitters together (I hope it becomes a regular group). I should be visiting sleeve island soon. There was some sweater knitting, great conversation, and some slipper knitting too (I actually tried wearing it on my head as it was huge, pre-felted.) All and all It was pretty great afternoon. < Previous WWHI(What Would Happen if)?